Von Kylemore Lough nach Süden führt eine Straße durch das Tal der Inagh zwischen den Maamturk Bergen (Na Sléibhte Mhám Toirc) und den Twelve Pins (Na Beanna Beola) durch. Wie das fast parallel laufende Joyce's County ist es von Mooren, Steinen und Schafen geprägt. Hier kommen aber noch einige große Seen dazu. 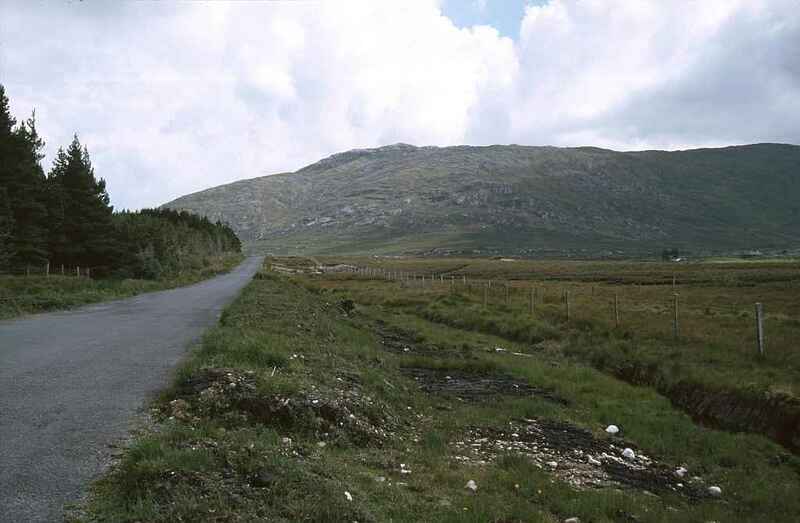 A road leads from Kylemoe Lough to the south through the valley of the Inagh between the Maamturk Mountains (Na Sléibhte Mhám Toirc) and the Twelve Pins (Na Beanna Beola). Like the almost parallel running Joyce's County it is shaped by bog, rocks and sheep. Additionally some large lakes can be found.